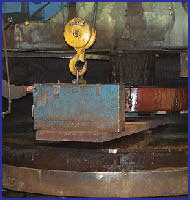 D Engineering Ltd are on of the few facilities to offer Lumsden grinding machines in Northern Ireland. We are capable of supplying all your grinding requirements with the benefit of a massive 600mm dia table, with a maximum work height of 600mm. Normal commercial limits of accuracy are readily attained by our professional operators in terms of both thickness and parallelism, with our machines capable of the highest quality surface finishes. 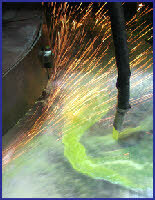 We handle an extensive range of surface grinding functions and we are a market leader in Lumsden grinding. 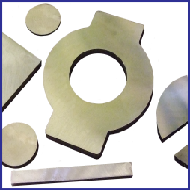 Components can be supplied utilising our comprehensive stock or clients free issue.